Late Monday, a box arrived. A box full of absolutely wonderful very early birthday gifts from an incredibly generous friend. The first thing out of the box was this wonderful wool batt. It’s the perfect size for my Drunkard’s Path variation done in the French General Rouenneries line. I have the binding and backing for it ready. So all that’s left to do is get it basted and the hand quilting will begin. Next out of the box was this stack of luscious pink batiks. If you’ve read my blog for any length of time you know that pink is my favourite colour. And that I firmly believe one can never have too many batiks! Then this incredible stack of FQs – Paris Flea Market FQs, that is. I remember when that line first came out years ago. I still have some small scraps left from some pieces of the line I had from the first time. I’m already planning the quilt that will be made with these beauties, but for a while I’m just going to admire the beautiful stack. 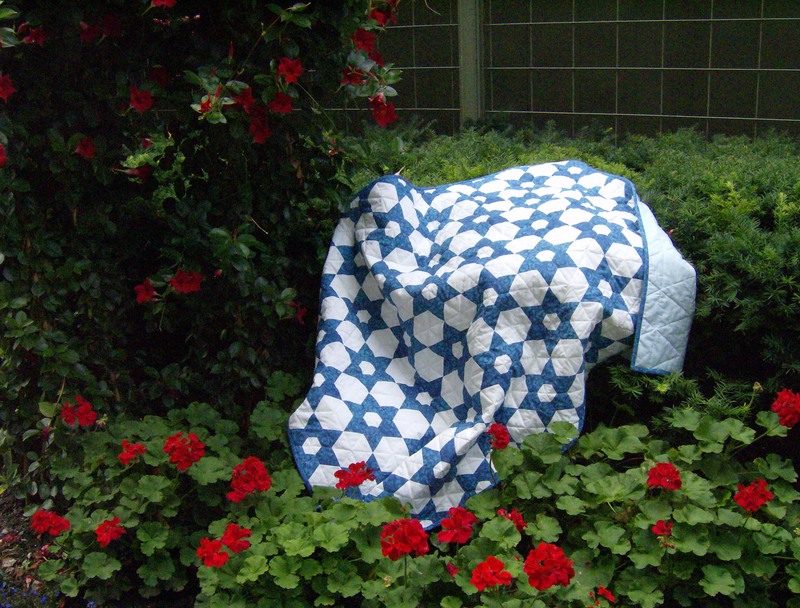 The quilt I’m planning will have some of the pink batiks in it as well as some other shabby chic fabrics from my stash. It will be such a joy to hand piece these gorgeous fabrics. Once the FQs are washed, I will start printing on them and get the shapes cut out. And now I know what the empty project box from yesterday’s post is going to contain. Baxter thought the best part of the whole thing was that there was a box for him to explore. It’s a nice big box, loads of room for him to turn around. We were lucky to get this picture of him as he was quite busy inspecting every inch of that box. An empty box on the floor is a definite kitty magnet. Last night was the Blue Jays’ home opener. Baxter and his pals were all ready for the game. Oooh, I’ll bet those Paris Flea Market FQs are beautiful! Cappy makes a great mascot. love all that fabric! 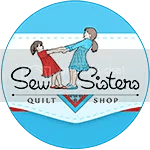 I have not used wool batting – do you love it to hand quilt? 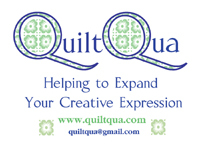 does it shrink up just a little to give the antique look to quilts? Hi, Cathi — I still have some of the old Paris Flea Market pieces, too. Does the new line have the same soft tones? Do they work well together? WOW, such a great friend that you have! Have fun with all those luscious fabrics! Boxes and cats were made for each other. Great photo! And then the cats and their baseball, Cappy is so cute! Wow, what a great parcel. I’ve heard marvellous things about the Tuscany wool batting, but we can’t get it here so am going to get some of their Heirloom wool batting instead. Interested to hear what you think of the Tuscany once you’ve used it. Does that batik bundle mean you can get the water-colour bundles again? Just as I went to buy some, they stopped selling them. Nice gift! How exciting to receive all those great fabrics. Poor Baxter! Must have been disappointed after all the hype! My sons were at the game… Way up in the very last row! I can’t wait till Saturday and its my turn! Happy early Birthday! What a wonderful box full of possibilities for future projects–the best kind of gift. And even a box for Baxter. Paris Flea Market is one of my favorite lines of all time. One of my very first quilts was made from this. Best wishes! Wonderful birthday gift!! Kids and Kitties love to get new boxes to play in. Wow what a wonderful gift !!!! You will make good use of every bit of it. What a great friend you have and wonderful gifts! Your cat Baxter cracks me up, I never seen a cat yet that’s couldn’t resist an empty box,lol. What a beautiful stack of fabrics to play with—and a very generous friend!! I love the wool batting. Baxter looks like he is having lots of fun in his new “box” home. I have some of the paris flea market fabrics—they are so well coordinated. What are you going to make from them??? Thanks for visiting my blog, it’s always nice to find new talent to visit and your blog is certainly full of talent! btw…I think our home team played the jays last night & our opening day Friday, has heavy rain in the forecast…we are having a wet cold Spring here. What lovely presents – have fun admiring and then using them all! What a fabulous box of presents! Happy Birthday!